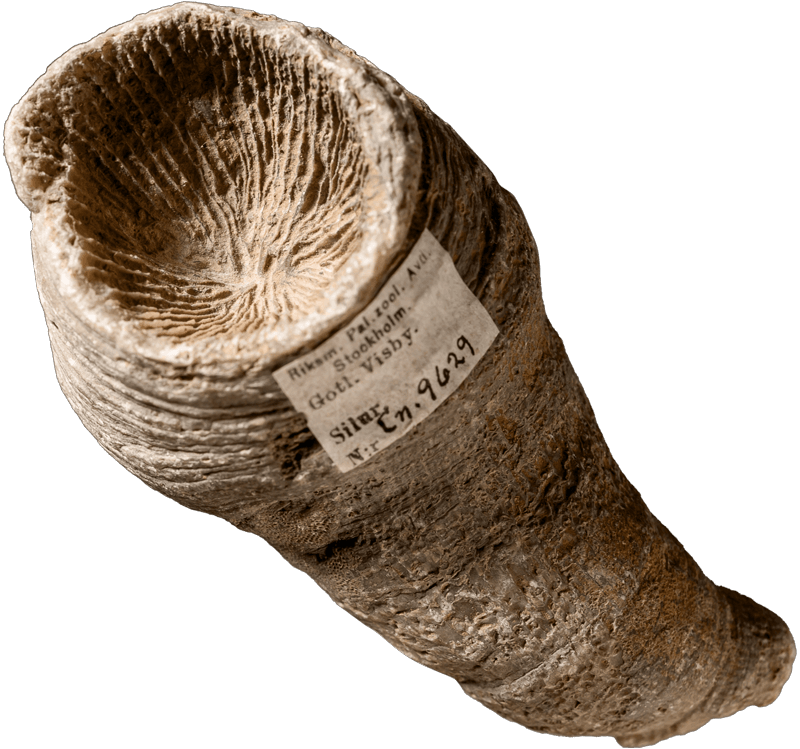 Some fossil corals from the Baltic island of Gotland are so well preserved that it is possible to read the seasonal changes in their growth rings. With a microscope it is even possible to study growth variations during a single day. They look like the annual growth rings of trees, but are much smaller. A fossil of the coral Cystiophyllum, found on Gotland. Thanks to these fossils, scientists have been able to determine that a year was around 55 days longer during the Silurian than it is today. That figure agrees with modern astronomical calculations. The Earth made around 420 daily rotations per year during the Silurian, compared with 365 today. A day was then only 21 hours long, compared with the 24 hours of today. Changes in the Earth’s rotation speed over millions of years are due largely to the braking effect of the Moon.